The present doctoral thesis is framed within the Nuclear Magnetic Resonance (NMR) spectroscopy field, more specifically in the design of modern NMR methodologies. 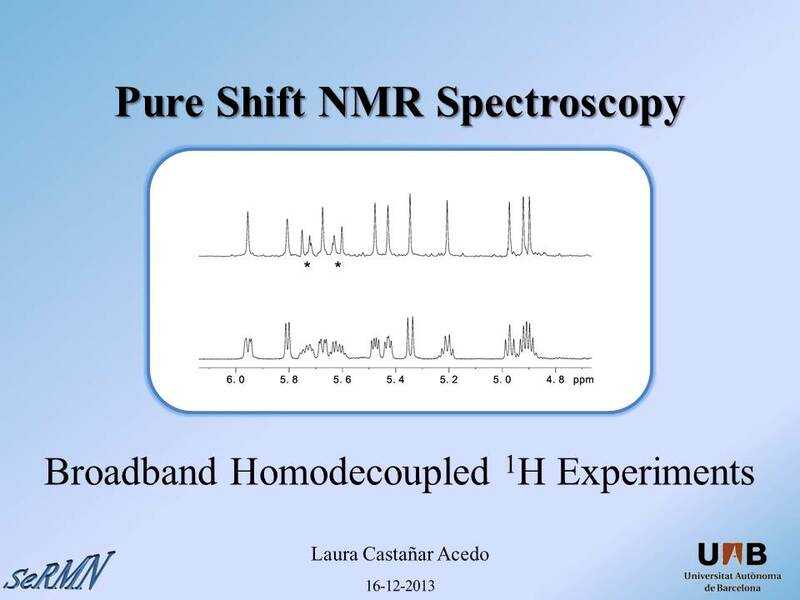 The research work carried out is focused on the design and application of new and modern NMR methodologies (i) to perform efficient broadband 1H homodecoupling in 1D/2D NMR experiments and (ii) to accurately determine homo- and heteronuclear coupling constants in isotropic and anisotropic conditions through improved HSQC and HSQMBC-type experiments. The thesis is presented as a compendium ten (10) publications that have been published in several peer-reviewed international scientific journals as original research papers. 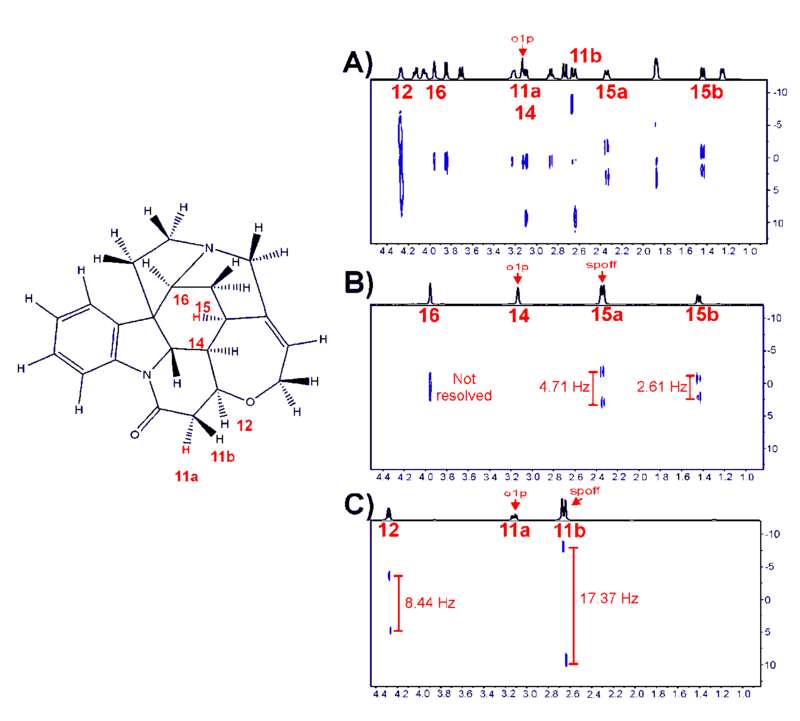 Several 1H homodecoupled NMR experiments have been developed along this doctoral thesis. Most of them are based on the Homodecoupled Band-Selective (HOBS) experiment through which it is possible to obtain homodecoupled NMR spectra with full sensitivity. 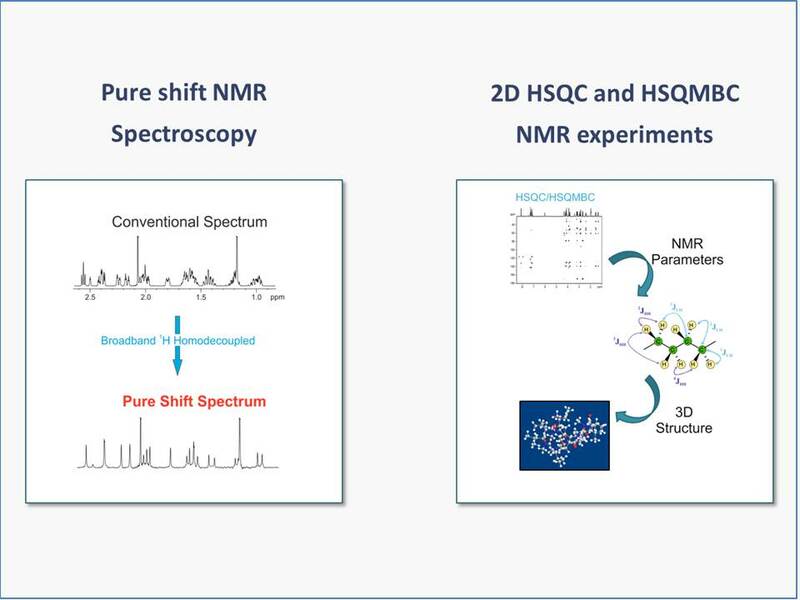 HOBS methods offer a powerful and simple way to obtain high-resolved 1D and 2D NMR spectra, as efficiently demonstrated for the accurate, simple and direct measurement of T1/T2 relaxation times in overlapped regions, the determination of heteronuclear coupling constants from simplified multiplets, the determination of very small chemical shift differences with success application in enantiodifferentation studies or the analysis of highly complex mixtures. 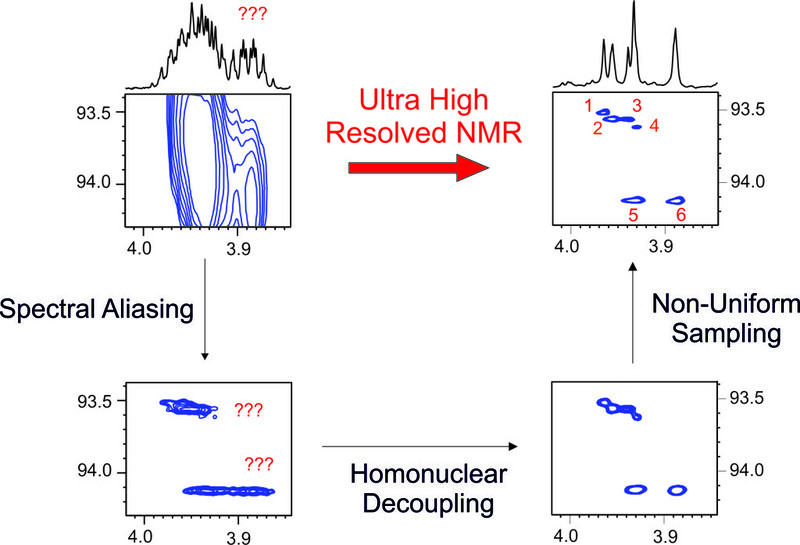 In addition, the concept of ultra-high-resolution NMR spectroscopy has been tested by combining several resolution-enhanced techniques into a single NMR experiment. On the other hand, for many years the measurement and practical use of coupling constants have been a timely topic but there are still a number of unresolved issues. 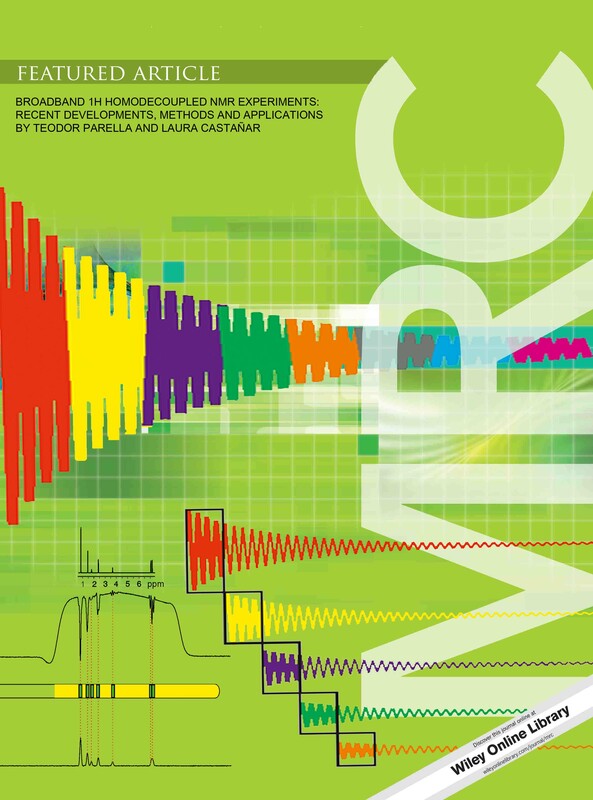 Along this doctoral thesis a suite of robust HSQC and HSQMBC experiments have been developed which provide accurate and precise measurements of couplings constants through simple and direct analysis of cross-peaks without involving complex post-processing data manipulation.